Darkest Mercy by Melissa Marr - released 3rd March 2011 - The Summer King is missing; the Dark Court is bleeding; and a stranger walks the streets of Huntsdale, his presence signifying the deaths of powerful fey.Torn between his new queen and his old love, Keenan left Huntsdale to wander aimlessly but after centuries of leading his court it was not long before the reality of being Summer King became too pressing. Violence seemed more inevitable by the day and the Summer Court was not yet strong enough to face conflict, so Keenan made a dangerous deal with the water fey. It is a desperate bargain he makes to strengthen his court against the coming war. Aislinn tends the Summer Court, searching for her absent king and yearning for Seth. She knows she must be a powerful queen to hold her court together, while Bananach becomes more and more dangerous, and she is losing faeries to her. Donia longs for fiery passion even as she coolly readies the Winter Court for battle. Her court is still powerful, but she must remain focused on keeping them that way and not get distracted by Keenan when he shows up at her door again. The Dark Court is thrown into chaos when they are rocked by tragedy. And Seth, sworn brother of the Dark King and heir to the High Queen, is about to make a mistake that could cost his life. They all know what Bananach seeks – the raven-faery is the embodiment of war and discord. She and her growing number of allies want mutiny and murder. Love, despair and betrayal ignite the Faeries Courts, and in the final conflict, some will win… and some will lose everything. The thrilling conclusion to Melissa Marr’s bestselling Wicked Lovely series will leave readers breathless. From the press release. 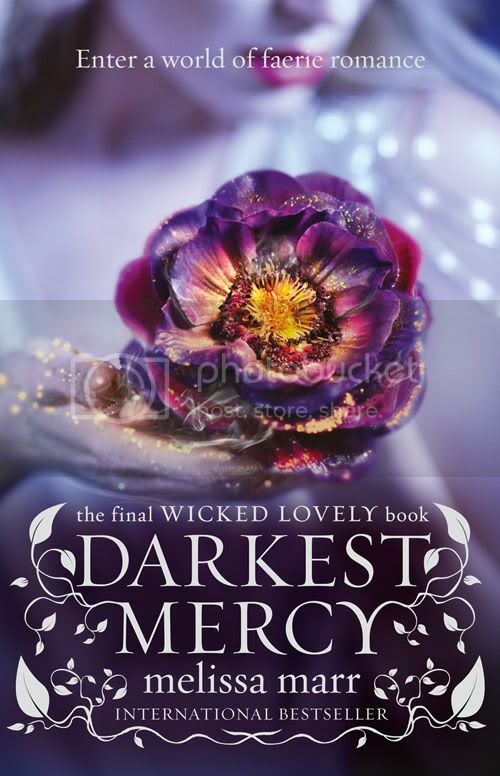 To hear more about Darkest Mercy tune in to a live virtual fan event on 24th February 2011 at 1am UK time and get the opportunity to ask my Melissa questions through her live streamed event. Go here for more info. I’m always fascinated by this question. I write fiction, so not really. Are there traits in each character I can identify with? Sure. As a whole, though, none of my characters are ones whose skin I could (or would want to) slip into. Most of them are people I’d happily meet for tea though. It was my first novel, but I had sold a few short stories and poems prior to it. I’ve been spending a lot of my hours with these characters. Ash, Donia, and Keenan were characters I first “met” in 2004, and since then, there have been a good number of stories in their world that consume a lot of my life. I’ll miss them, but I’m pretty excited about the new characters and world I’m writing—and, of course, there are so many hours spent on/with them still as we move forward with the film that it’s not a complete goodbye yet. Part of the joy of being so involved with the film to date is that I get to know things that aren’t public, but sadly, that’s also part of the challenge. The producers, screenwriter, director have been amazing to work with, and I’m really excited about the project and grateful that they keep me so included. They totally don’t have to, but they have, and it’s been wonderful so far! My debut adult novel, Graveminder, releases in 2011 (May here in the US and Canada, ----- in the UK, Australia, and New Zealand). That’s been a lot of fun. It’s a bit darker with a mystery, murders, dead who don’t stay dead, and a little romance too. Right now, I’m working on Carnival of Souls, which is a stand-alone YA that is something of an “accidental novel.” I didn’t have a book due, but I sat down one day and started playing with a little 800 word snippet of a story, and three days later, I had 35,000 words. It was sort of crazy, but I love these characters, so I kept writing. That novel is now set to release in 2012. Read voraciously. Believe in yourself—but always strive to improve your craft. Remember that there is no “right way” to reach the goal. Some people take classes; some write stacks of novels and thus learn by doing. Moments. Life is a series of moments. For me, the absolute happiest moment in my life was holding my child in my arms for the first time. There are many instances of happiness, but then there are some moments of total bliss every year, and that’s what I chase. Sometimes, I find them at the ocean or desert; other times, it’s with other people. Ultimately, though, it’s nature, art, or time with loved ones that will fulfil me. I am nocturnal, but what keeps me awake during the day when I should be sleeping is a pretty long list: my characters, my schedule, fear of random serial killers slipping in through unlocked windows, bits of lore that could be starts of stories, remembering where I left my glasses . . . My mind doesn’t pause very easily. I battle insomnia often. I own nothing I couldn’t give up. The one item I wear pretty much always is a small white gold dolphin pendant my children picked out for me one year. No guilt involved! Life should include pleasure without the burden of guilt. I’m a fan of sensory indulgences: dark chocolate, bubblebath, barefoot at the beach, a good fire . . . The list is long. I don’t believe in regrets. Everything we do or don’t do makes us who we are in this moment. We learn, change, and re-create ourselves as a result of the path we’ve followed. I like who and where I am, so regret is unnecessary. Practicality says to take a survival guide (how to instructions, edible plants, etc). If we’re being impractical, I’d like a notebook to write in or a big bound collection of Faulkner’s novels. 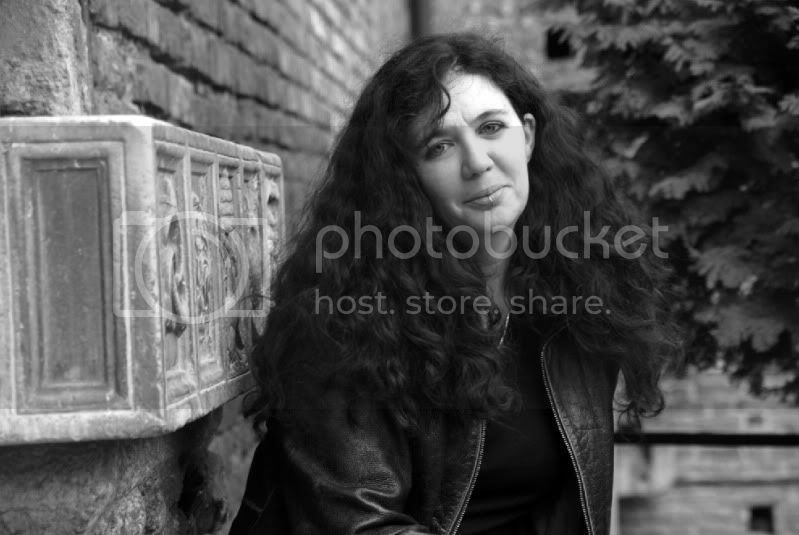 Watch the video below of Melissa Marr talking about her books for more info on the series.